Uncanny Magazine Issue 7 Cover and Table of Contents! Coming November 3, THE SEVENTH ISSUE OF UNCANNY MAGAZINE!!! The free online content will be released in 2 stages- half on day of release and half on December 1. 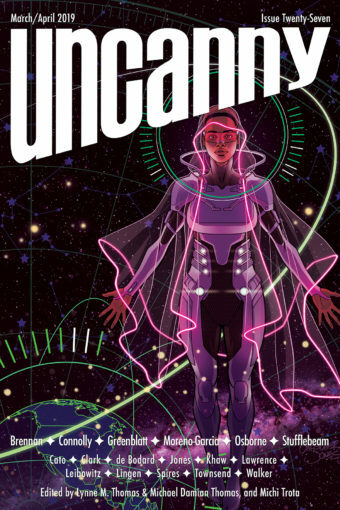 Don’t forget eBook Subscriptions to Uncanny Magazine are available from Weightless Books, and you can support us on our Patreon. Great news! eBook subscriptions are also now available through Amazon! 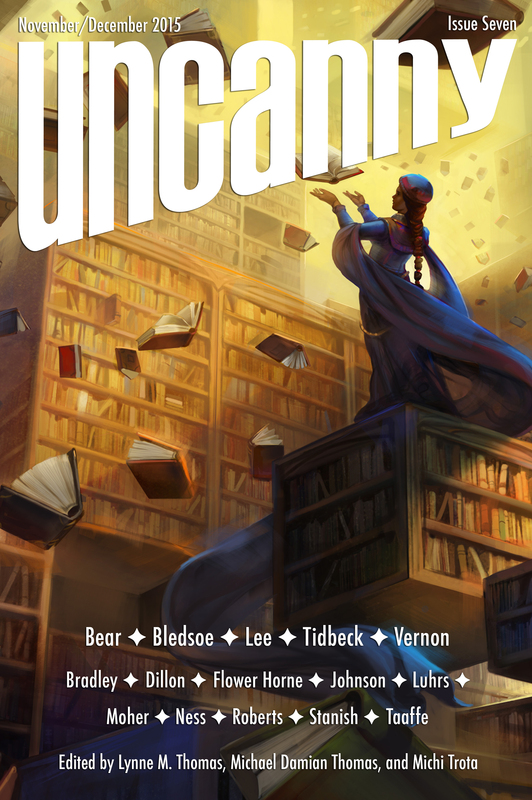 Have the new issue of Uncanny Magazine sent directly to your Kindle device! This is the FIRST ISSUE partially funded by our Uncanny Magazine Year Two Kickstarter! Thank you so much to our Kickstarter backers, Patreon patrons, and subscribers. You make this magazine possible, you magnificent Space Unicorns.